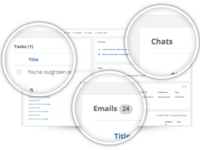 Our target market is the global SMB sector - our tool is great for both companies which are just now entering the digital space, and seasoned online entrepreneurs. 3 tiers of pricing ($9, $19, $39) per agent per month. 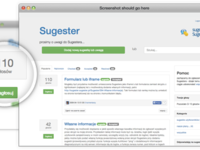 Sugester is a cloud helpdesk, time and task management solution. 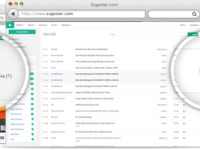 With features such as a shared team inbox, multiple agent support and advanced reporting, the Sugester Dashboard is all you need to manage customer support and other company activities. 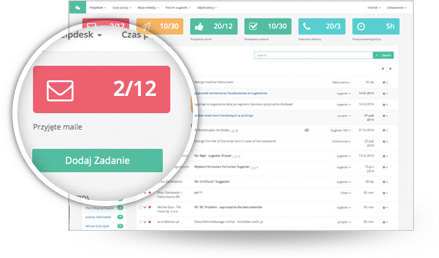 Sugester combines the most important features of help desk and CRM software without sacrificing simplicity. Try it today - the basic plan is free forever. Pros: what i like the most about this software is the fact that it is compatible with any operating system in a mobile phone and the software is very easy to run with unlimited bandwidth. 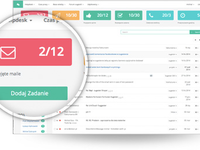 Comments: The helpdesk software giants, like Zendesk and Freshdesk, can be overwhelming for a small business. They have tons of powerful features, but learning to use the software can be overwhelming and time-consuming. 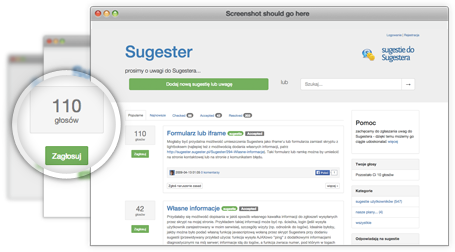 Learning Sugester takes minutes - everything is very well-done and straightforward. As far as cons go - the interface could be improved aesthetically. I also came across some minor glitches, but those will have probably been ironed out by the time you are reading this. 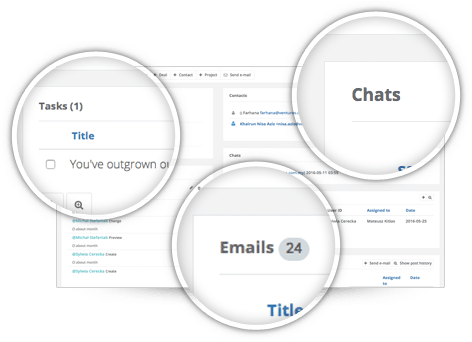 Overall, I would definitely recommend this software to medium business owners looking to upgrade their helpdesk.